20 years ago, we, the democratically elected government led by the African National Congress, set on a new path, not only to dislodge and destroy the structures of the apartheid regime, but to embark on the tasks of building a new and better South Africa.Â We inherited a divided education system, one for white South Africans, well subsidized and supported, and the other for blacks, Bantu Education, under-resourced and intellectually inferior. We sought to mobilise our people to implement policies aimed at building a new education system whose key objective has been to meet the needs of a new democratic society. Our policy interventions have thus been aimed at transforming the country’s education system to overcome the legacy of apartheid and colonialism, as part of confronting racial, gender, class and other forms of inequality. We have recorded outstanding achievements in the field of education. We have changed and built new education structures from what used to be the bantustans and their educational institutions to be in line with the objectives of building a more egalitarian society; we have reconfigured and aligned different and divergent universities and technikons to serve all South Africans irrespective of background and social status; we have expanded enrolments at our universities and colleges for the historically marginalised sections of our society, in particular blacks and women. Today women and blacks constitute more than 60% of the overall student enrolments at South African universities. The growing black middle class, amongst other things, owes its success to the educational opportunities provided by our government. Some of the new black professional and middle classes were from poor families and from within the ranks of the working class. We need to be proud of all these achievements as the country celebrates 20 years of democracy. This year’s 78.2% matric pass rate, no mean feat, is another milestone and demonstrates the ANC’s seriousness about improving education in our country. Surely we are creating hope amongst the majority of the people of our country, as well as demonstrating our absolute determination to tackle the triple scourge of unemployment, inequality and poverty. In spite of these successes, much still needs to be done to rid ourselves of the legacy of apartheid, particularly in education. Deep-seated inequalities are rooted in our past and it is not by accident that today the disparities of wealth, educational access and attainment, health status and access to opportunities that exist are still largely based on race and gender. This is largely the apartheid aftermath. Most black people remain poor and continue to be served by lower-quality educational institutions which often still bear the marks of Bantu Education. This unevenness is very concerning. We have made these advances in the context of resistance from sections of our population, some of which still remains strong. For instance, some of the resistance to legislative measures aimed at the transformation of our university sector and the SETA system are both ideological and political and, in some cases, aimed at defending past privileges and particular modes of accumulations for sections of our population. Though we have made substantial progress in a number of areas, patriarchy, amongst other things, remains a reality that threatens to undermine the gains we have made to transform the conditions of women and girls for the better. In addition, South Africa still has a post-school education and training system which does not offer sufficient places to the many youth and adults seeking education and training. Expansion is needed, in terms of numbers of available places, and in the types of education and training available. Sadly, over 3.4 million of the country,s young people between the ages of 15 and 24 are not in employment, education or training and a strategy is required to pull them out of the doldrums of poverty and misery. Education has long been recognised as a route out of poverty and a way of promoting equal opportunities. The achievement of greater social justice is closely dependent on equitable access by all sections of the population to quality education. Just as importantly, widespread and good quality education and training could allow more rapid economic, social and cultural development for society as a whole. Without education, economic growth is not possible. The results of inadequate education often include unemployment, social upheaval, instability and above all poverty. This is why education and, in the case of South Africa, educational transformation remains a top priority for the ANC. To confront our developmental challenges, South Africa needs a single, coherent, differentiated, highly articulated and yet diverse and non-racial post-school education and training system, with all sectors playing their role as part of a coherent but differentiated whole.Â This is what the Department of Higher Education and Training (DHET), and indeed government as a whole, proposes in this White Paper for Post-School Education and Training that we are launching today, building on the advances of the past twenty years. The development of integrated, fully articulated and seamless post school education has been made easier by the establishment of the DHET in 2009. 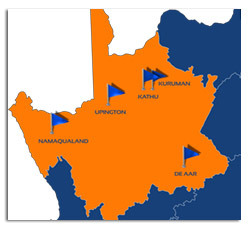 To date our system comprises of Further Education and Training colleges (to be renamed Technical and Vocational Education and Training colleges), universities, the National Financial Aid Scheme (NSFAS) and the levy grant institutions, which is the Sector Education and Training Authorities (SETAs), the National Skills Fund (NSF) and the draft Human Resource Development Strategy for South Africa. Through this White Paper for Post-School Education, we are firmly set on creating a diverse, integrated post school system that will absorb into education and training many of our youth and adults who could not access them in the past, so that they can participate meaningfully in the country’s economy. The councils dealing with quality, Umalusi, the Council on Higher Education, the Quality Council for Trades and Occupations and the South African Qualifications Authority (SAQA) will help us build this viable post school sector. The aim of this White Paper is to create a framework that defines DHET’s focus and priorities and that enables it to shape its strategies and plans for the future. It is a definitive statement of the government’s vision for the post-school system, outlining our main priorities and our strategies for achieving them. This White Paper is a motor with which to drive and deepen transformation of the entire post-schooling sector, improving the capacity of the post-school education and training system to meet the needs of the country. It aims to set out policies to guide the DHET and the institutions for which it is responsible in order to contribute to building a developmental state with a vibrant democracy and a flourishing economy. This White Paper will empower us as we strive to build a post-school education and training system that is able to contribute to eradicating the legacy of apartheid. It will assist us to build a non-racial, non-sexist and prosperous South Africa characterised by progressive narrowing of the gap between the rich and the poor. Access to quality post-school education is a major driver in fighting poverty and inequality in our society. This post-school system will be responsive to the needs of individual citizens and employers in the public and private sectors, as well as serving broader developmental objectives. Above all, the White Paper for Post School Education is in line with the country’s key national policy documents including the National Development Plan, the New Growth Path, the Industrial Policy Action Plan and the Human Resource Development Strategy for South Africa. Behind it is the determination to produce sophisticated, socially and politically conscious citizens and above all to expand further opportunities for the poor, not to patronise them, but rather to give them the intellectual tools and skills for them to control their own destinies. Contrary to claims by some of our detractors that this government doesn’t care, doesn’t listen and doesn’t consult, this White Paper is a product of thousands of hours of consultations, months of intense debates and discussions and hundreds of thousands of pages of commentary from our people, especially those South Africans who have sought to constructively engage with our democratic government, albeit critically. This paper has benefitted enormously from these engagements. There are many positive, practical aspects of this White Paper for Post-School Education. It emphasises the crucial role of technical and vocational education and sets out our strategies for transforming it further, defining its place in the post-school system and ensuring that it becomes a path to a brighter future for its students and for the country. In that way this new policy will strengthen and expand the public TVET colleges, enabling them to attract a large proportion of school leavers and become institutions of choice, and disposing of the notion that these colleges are of little value, a legacy of the days when TVET colleges did not enjoy the attention given to other sectors within education. Part of the process of ensuring that TVET colleges become quality educational institutions will involve setting a benchmark of optimal functionality to determine the intervention needed in each institution. A turnaround strategy has been developed for the period 2012-2015 and will be extended accordingly. By 2030 the goal is to have head-count enrolments of 1.6 million in the public universities, 2.5 million in TVET colleges and 1.0. million in the community colleges. The quality of education in colleges will be monitored on an on-going basis. The Quality Councils will assure the quality of assessments, and the New South African Institute for Vocational and Continuing Education and Training (SAIVCET) will fulfil a developmental, monitoring and evaluation role. Advise the Minister on policy for the recognition of prior learning as it affects TVET and community colleges, promote dialogue, coordination and linkages between TVET and community colleges, and between these institutions and universities, SETAs, employers and workers, in order to enhance coherence and articulation and upgrade the technical knowledge and pedagogical skills of existing staff in TVET and community colleges as well as promote professionalism of lecturers, instructors and other expert staff. By 2030 there will be at least one institution offering TVET programmes in every district in the country. Some of these programmes may not be in TVET colleges, but could be offered in community colleges, or other suitable institutions. One of the challenges for post- school system is to substantially expand access to education and training over the next twenty years. This is essential not only to take into account the needs of the youth who complete school but also for those who happen not to have completed schooling. The post school education system should be expanded in such a way that the needs of older people are also catered for. This includes those who did not have the opportunity to attend school but in need of education and training opportunities for them to live productiveÂ lives as both workers and citizens. This is where community colleges come in- to offer skills to the marginalised that have the potential to make a difference in the economy and the society at large, if empowered with education and skills. Through the White Paper we seek to improve alignment between universities, Technical and Vocational Colleges and Sector Education and Training Authorities (SETAs) in an effort to improve student and learner mobility across these sectors. The Post-School Sector will also be a system that recognises that the right to access to an educational institution is not enough, and that institutions must provide education of a high quality. The system envisaged must provide paths for articulation between various qualifications: there should be no dead-ends for students; there should always be a way for someone to improve their qualifications without undue repetition and hindrances. â€¢Â Â Â Â Â Â Â Â Â Our post-school system will prioritize funding of the marginalised, enabling them to access post-school institutions and fulfil dreams of careers thought to be unrealisable. â€¢Â Â Â Â Â Â Â Â Â The DHET will ensure a large expansion of post-graduate studies to ensure the expansion of the academic profession and the development of high level knowledge and skills. â€¢Â Â Â Â Â Â Â Â Â Through this White Paper, we will ensure that South Africa becomes a country with a deeply rooted research culture. We want outstanding researchers capable of producing ground-breaking work. This is where universities, regarded as centres of knowledge production, are crucial. â€¢Â Â Â Â Â Â Â Â Â It will ensure that citizens have full access to the countryâ€™s educational institutions including the envisaged Community Colleges, emphasising workplace learning, preparing workers for the labour market and economic self-sufficiency. Those already in the workplace will improve their skills through the assistance of the SETAS. â€¢Â Â Â Â Â Â Â Â Â DHET will work towards creating a post-school distance education landscape, based on open learning principles, building on the past achievements. This landscape will complement the traditional campus-based provision. It will consist of a network of education providers supported by learning centres and/or connectivity for students. Of paramount importance for this discussion, is the notion that there are rapidly increasing ways of designing educational programmes to meet the needs of learners and the demands of the country. This diversity of provision, based on open learning principles, is seen as a strategic enabler to improving learning opportunities across the post-school education and training sector, and inform the policy directives which follow. The DHET expects that providers will engage and collaborate in sharing infrastructure, learning resources and staff capacity, to contribute to improved access, quality and cost-effectiveness of provision. This means,Â inter alia, institutions using their resources for the delivery of programmes of other institutions, using a mix of contact and distance modes. For example, a TVET college or a community college in a rural area could be used for the delivery of evening classes for part-time students of a university who are also studying through distance mode. It could also mean the DHET or groups of institutions establishing multipurpose educational facilities to facilitate mixed-mode arrangements. â€¢Â Â Â Â Â Â Â Â Â Despite attempts to integrate disability into the broader policy arena, currently there is no national policy on disability to guide education and training institutions in the post-school domain. The management of disability in post-school education remains fragmented and separate to that of existing transformation and diversity programmes at the institutional level. Individual institutions determine unique ways in which to address disability, and resourcing is allocated within each institution according to their programme. Levels of commitment toward people with disability vary considerably between institutions, as do the resources allocated to addressing disability issues. TVET colleges in particular lack the capacity, or even the policies, to cater for students and staff with disabilities. Data from 22 of the 23 public universities shows that 5Â 807students with disabilities were enrolled in higher education institutions in 2011, accounting for only 1 per cent of the total enrolment. The low numbers of people with disabilities in universities and colleges is despite the fact that bursary funding for learners with disabilities is available. A bursary scheme was introduced in 2008 to complement Department of Labour funding provided through the NSF. The DHETâ€™s Disability Funding was, however, underutilised in 2010 and 2011, at levels of only 47 per cent and 55 per cent respectively of available funding. The low uptake of bursaries is a matter of serious concern, given the continued inequities in access. It is most likely related to the fact that many learners with disabilities do not qualify for university education, but research is required to fully understand this problem. The DHET made available an amount of R130 million, with universities providing an additional R52 million, towards ensuring universal physical access to university infrastructure and facilities. Allocation to each university was based on whether addressing disability was a priority and whether capacity existed. In TVET colleges, there is still no ring-fenced funding to improve the accessibility of buildings, although the Norms and Standards for Funding these colleges do provide for additional funding for learners with special needs. Greater attention will be given to ensuring that the colleges improve their capacity to accommodate and serve students with disabilities. A strategic policy framework is necessary to guide the improvement of access to and success in post-school education and training (including in private institutions) for people with disabilities. The framework will create an enabling and empowering environment across the system. The framework will set norms and standards for the integration of students and staff with disabilities in all aspects of university or college life, including academic life, culture, sport and accommodation. Through this White Paper policy framework, we will seek to integrate recognition of prior learning (RPL) into the post-school education and training system. Such recognition must not be ad hoc, but must form an integral part of our whole system. The production of this White Paper is an important milestone in the consolidation of our relatively young democracy. It is an integral part of deepening and advancing a truly democratic order that will be of benefit to the overwhelming majority of our people. for our young democracy – the first model of its kind. It reasserts the very values upon which our democracy is founded. Let none of us be purveyors, prophets or professors of doom. Let all South Africans and education stakeholders join in to turn this vision and policy framework into a living reality! On behalf of DHET I would like thank all those who have contributed to the realisation of this White Paper for Post-School Education and Training. This includes Deputy Minister Mduduzi Manana, Director General Gwebs Qonde, and the officials of the Department. This also includes all those stakeholders who made a contribution to developing the Green Paper, those who gave their responses to it and those who contributed to the consultations that took place during the writing of the White Paper. In particular I would like to give a special word of thanks to the team, led by my Special Advisor, John Pampallis, which did the actual research and writing: Stephanie Matseleng Allais, Michele Berger, Nadya Bhagwan, Tsakani Chaka, Paul Kgobe and Kgomotso Ramushu.Â Special thanks also go to the other researchers who helped to inform and develop the White Paper.